On Star Wars Day (May 4th), we’ll be flying Young Eagles at Lincoln airport (KLHM). Young Eagles information is here. We’re taking signups now – you can click here. Volunteer information is here. If you’d like to volunteer, you can click here. Remember it’s the Airport Fun Day on April 13th – there’s now a flyer. Topic: VMC & IMC Topics Are Taken From Real Life Events and Discussed to Aid the Decision Making Process for Pilots. This is an audience participation event. After a brief Audio / Video presentation we ask “what would you do”? Everyone is encouraged to join in the discussion. Subjects are normally provided by EAA. Chapter 1541’s March Member Meeting will be held at Cattlemens Restaurant, 2000 Taylor Road, Roseville. Join us for the optional dinner beginning at 18:00, with a short business meeting to follow. The presentation for the evening will be by Dave Vega, the regional sales manager for the Concorde Battery Company. Dave brings decades of experience working with lead acid batteries, in both technical and customer support, working with maintenance and repair stations throughout the West. As part of the build up to the Young Eagles event on May 4th, we’ve decided to have a fun day at the hangar on April 13th. Mark your calendars – We’re aiming to have aircraft, aviation themed events and movies, a flight simulator, plus lots of volunteers to answer questions about flying, careers in aviation and so on and (obviously) a barbecue lunch. If you have any ideas about other things we can add, let the board know! We’ll be having a presentation on Saturday, March 9th, after a BBQ lunch. Lunch will be 11:00 – 12:00. The presentation starts at 12:00 – we’ll be talking to builders about the trials and tribulations of building an aircraft. Take a ride in a Ford Tri-Motor! Embark on a journey back to aviation’s golden age, when the Ford Tri-Motor became the first airplane put into commercial airline service by the United States. You’ll relive the excitement and wonder experienced by aviation’s finest passengers and pioneers. This is an audience participation event. After a brief Audio / Video presentation we ask “what would you do”? Everyone is encouraged to join in the discussion. Come out and enjoy some pancakes and a movie with EAA Chapter 1541. The pancakes start at 08:00, and so does the film. Are you ready to build or restore an airplane? Then don’t waste your time watching DIY internet videos that result in costly mistakes. Instead, enroll in an EAA SportAir Workshop and learn how to build an aircraft right with the accomplished and experienced professionals at EAA. You’ll get hands-on, in-depth training that’ll save you time, money, and sweat. These workshops are being hosted by the Aviation Institute of Maintenance – Fremont Campus. It’s part of a network of twelve Aircraft Mechanic schools located around the country that has been training Aviation Maintenance Technicians for over four decades. 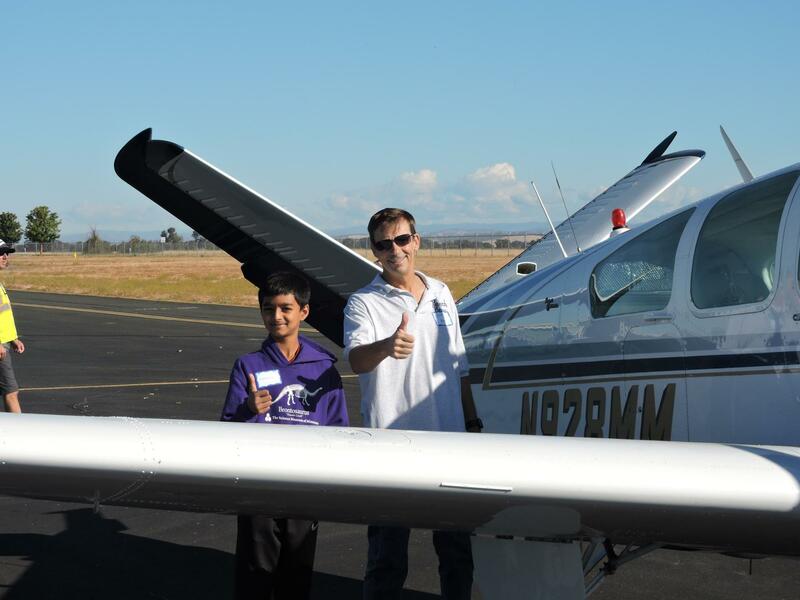 There’s no better setting to learn how to build your kit aircraft! Courses are filling up fast. Enroll now.